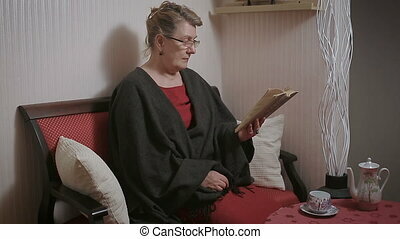 Cheerful woman reading a novel in her living room. 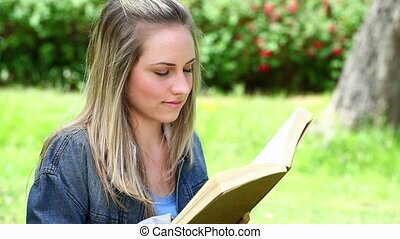 young woman learning at home. 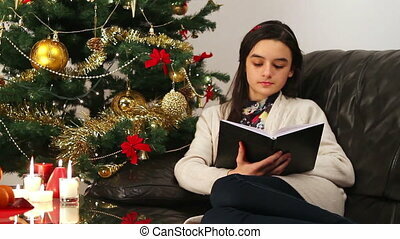 girl reading a book on a bed. 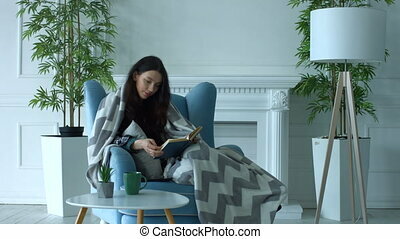 Intelligent young woman wrapped in warm blanket reading a book in cozy armchair while spending pastime in loft apartment. 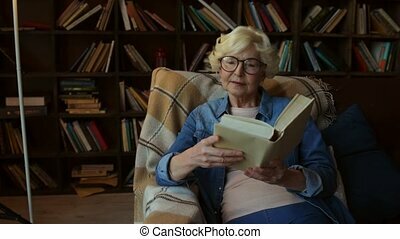 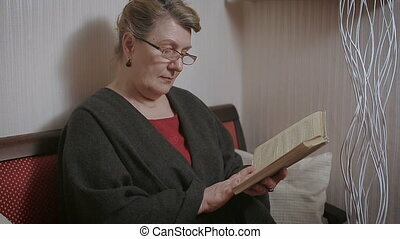 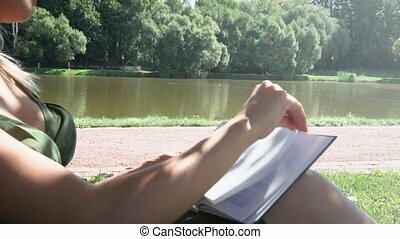 Joyful relaxed woman with paper book resting in armchair at home. 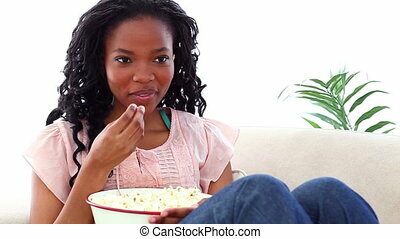 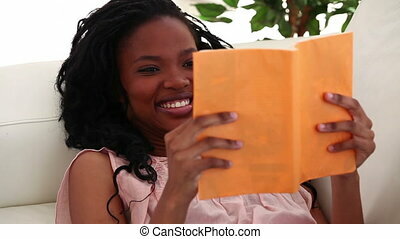 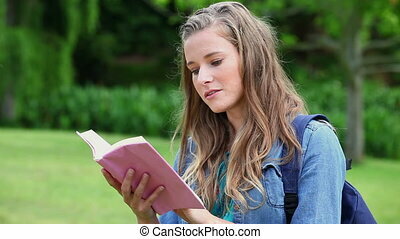 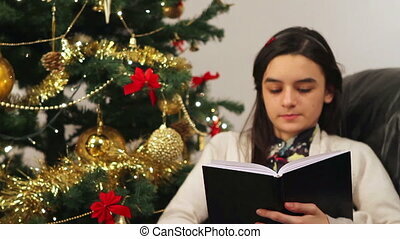 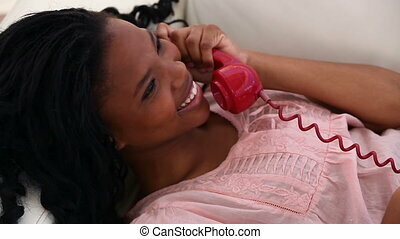 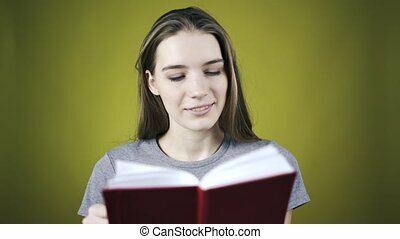 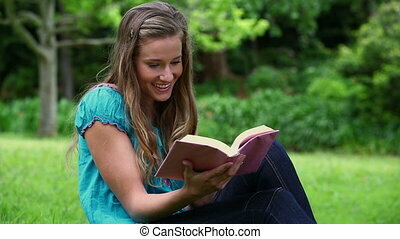 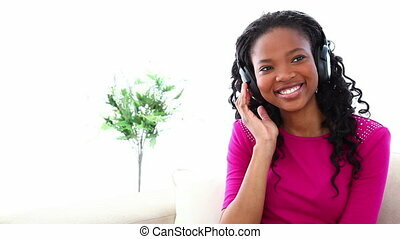 A portrait shot of pretty woman who is reading a red book over yellow background, smiling and dreaming. 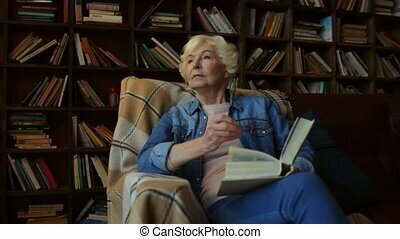 Locked down real time portrait shot.